Congratulations to the following coaches who have been selected as the HoopDirt.com Coach of the Week Award winners for Week 11 of the college basketball season. The coaches are now eligible to receive the HoopDirt.com National Coach of the Year Award which will be announced at the conclusion of the 2015-16 college basketball season. The complete list of past weekly winners can be found below this weeks recipients. NCAA DI: Mike Davis – Texas Southern University. Davis has his Tigers on a roll right now. After struggling to start the season (1-11), TSU has turned it around now that conference play has begun. Davis’ squad went 2-0 this past week, ran their winning streak to eight games, and now sit a top the SWAC standings with a perfect 8-0 record. They opened the week by hammering Arkansas-Pine Bluff 78-49, and then held off a late run to defeat Alabama State on the road 78-75. Davis’ tough early season schedule (New Mexico, Clemson, Washington State, Mississippi State, Syracuse, and Baylor), seems to be paying dividends, as he knows that winning the SWAC is his ticket to returning the the NCAA Tournament. 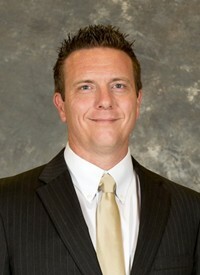 NCAA DII: Eric Olen – UC San Diego. The 12th-ranked Tritons pulled out two tight games on the road last week to up their record to 17-3 (12-2 CCAA). A late run on Thursday night helped them knock off Humboldt State 73-69. They trailed by four with just over six minutes to play, but used a 9-0 run to push them over the top. Saturday night, they travelled to Cal Poly Pomona where they grinded out 41-35 defensive battle over the 13th-ranked Broncos. In that game, Olen’s Tritons limited the home team to just 11 first half points, while holding them to 24.5% (12-49) shooting for the game. 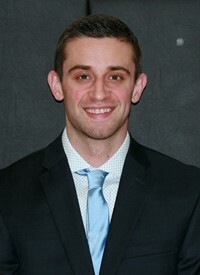 NCAA DIII: Zach Filzen – Lancaster Bible (PA). One of the youngest head coaches in the country, Filzen led his squad to a 3-0 week and extended their winning streak to 17 games. Currently ranked 15th in the country by D3Hoops.com, the Chargers beat Valley Forge (100-75), Wilson (101-73), and Gallaudet (91-73). They are now 17-0 (10-0 NEAC) and rank third in the nation in scoring (97.9 ppg). Another crazy stat…the Chargers scored 53 points in the first half of their game Saturday vs. Gallaudet which marks the 16th time this year they have scored 50+ points in a half. 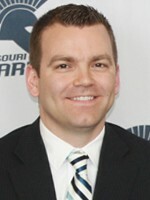 NAIA: Matt Brock – Missouri Baptist University. Brock’s Spartans snapped a two game slide by going 2-0 this past week. On Thursday night, they travelled to #25 William Woods where they pulled off the upset 88-86. The win gave Missouri Baptist its first win over a ranked opponent since Feb. 13, 2010. MBU capped off the week on Saturday by downing Lindenwood-Belleville at home 87-72. Brock’s crew is now 13-8 (8-5 AMC). They look to continue their hot streak when they travel to conference foe Lyon College next Thursday night. JUCO: Jared Phay – College of Southern Idaho. A great 2-0 week for Phay and his CSI Golden Eagles which started with a wild double overtime win, and finished with knocking off a ranked opponent. Thursday night, Phay’s troops battled back from an 18-point deficit on the road to beat Snow College 106-98. They followed that win up by traveling to Salt Lake City CC and knocking off the 16th ranked Bruins 78-67 on Saturday evening. CSI is now 19-6 overall and 7-3 in Scenic West Athletic Conference play. The Golden Eagles have won four straight and have also pulled into a tie for second place with Salt Lake.